We’ll be kicking off the 2018 goat cheese season with our annual Kid Hugging Day. 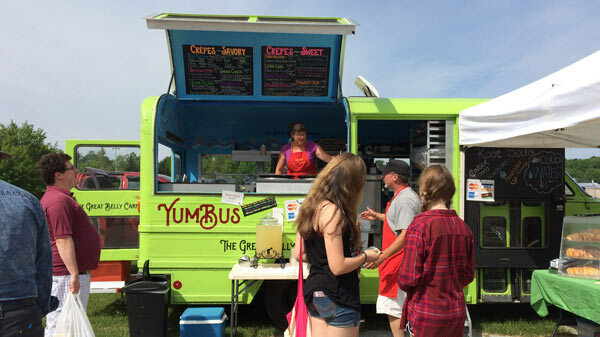 In addition to our version of kid olympics (baby goats, that is), we’ll be joined at the Farm by the YumBus, offering tacos and crepes, and Stone Fox Creamery ice cream. Fuzzy Udder Creamery will be offering hot chocolate made with goats milk, and sheep’s milk truffles. You can find a map to Appleton Creamery here. Children are welcome and encouraged, but please, leave your pets at home. Map to the farm here. After you hug our kids, we suggest you catch these other Midcoast Cheese Trail members, also hosting Kid Hugging Day on Sunday. 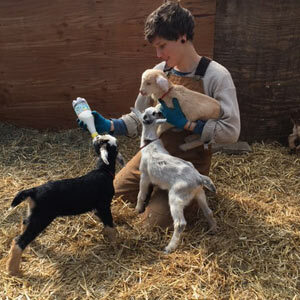 Copper Tail Farm in Waldoboro, and Fuzzy Udder Creamery in Whitefield invite you to stop by the farms on Sunday, April 22, 11-4, to meet and cuddle kids (baby goats), sample and buy the first goat cheeses of the season, and learn about goats and sheep and how cheese is made.